This year, the 2016 interior design trends hold a lot of promise for becoming tomorrow’s new classics. Unlike some of the trends in the past, these are less likely to come and go so quickly. So, if you are one of those people who hesitates to get on board with the latest trends, for fear of becoming obsolete, this year you can set those fears aside. So, let’s see what to expect for the new year! 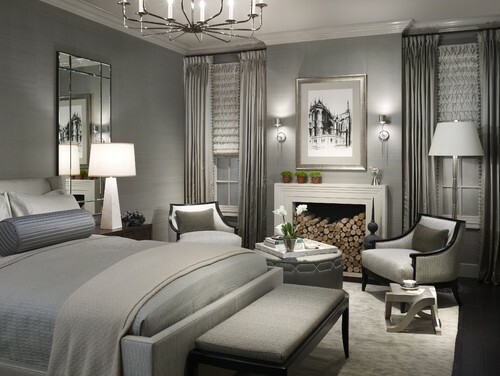 Don’t expect to see the greige (gray beige) color scheme disappear this year. It will still dominate as the new neutral, and why shouldn’t it? It exudes class and elegance. In fact, expect to see gray expand to the cabinetry. 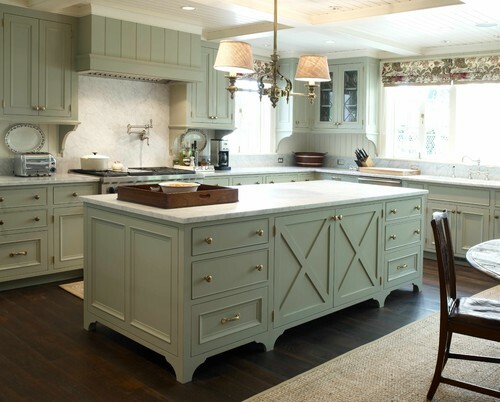 Both in pale muted tones and in dark sleek shades, gray will become a popular choice in kitchens. 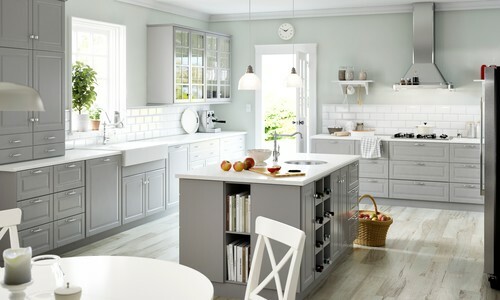 However, fear not if you are in love with the classic white kitchen. 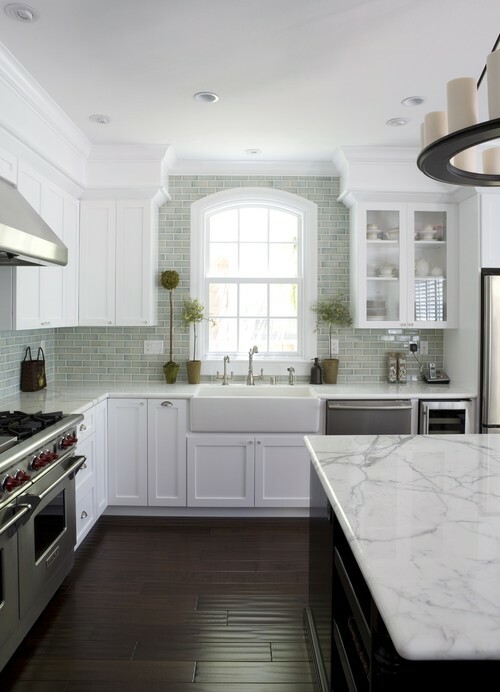 Just like subway tiles, white kitchens with black countertops is a classic look that will survive for many years to come. But instead of classic white, this year will be the year for off whites and pale neutrals to enjoy the limelight. Another color choice that is sure to see a rise in popularity are the pastels. Shades on pale blues and mint greens are a safe choice for the coming year. Yes, the subway tile will still hold its position in the tile world. Although, I know that some of you would love to see it meet its death. I am sorry to tell you that subway tile is essentially the little black dress of the design world. It is highly unlikely to go anywhere anytime soon. However, look to see more of a colorful choice in subway tiles. 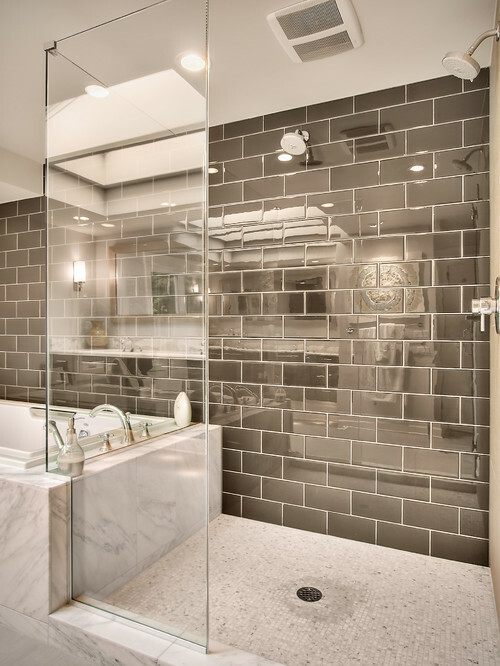 While white is still a classic, 2016 interior design trends will see more off whites and pale shades of glass tiles instead of the ceramic white of yesterday. 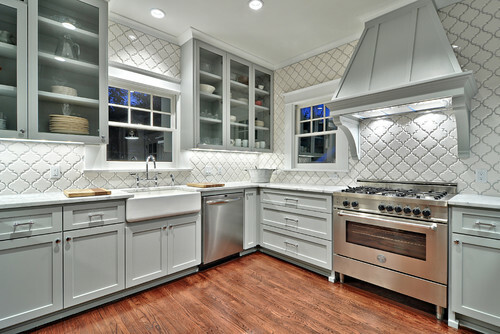 Another option for tile that is sure to see an increase in requests is arabesque tiles. These come in a variety of colors as well as glass, porcelain, and ceramic. I predict this style to become a classic in much the same way as the subway tile and the black/white geometric tiles have. Rustic woods will dominate the new year. 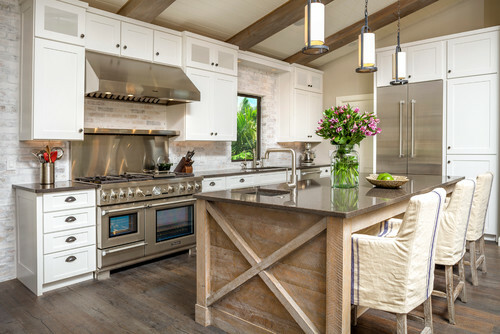 The trend for wide planked wood floors that demonstrate a reclaimed wood look will continue to grow in popularity. Also, expect to see wood expand into areas that were once unheard of. 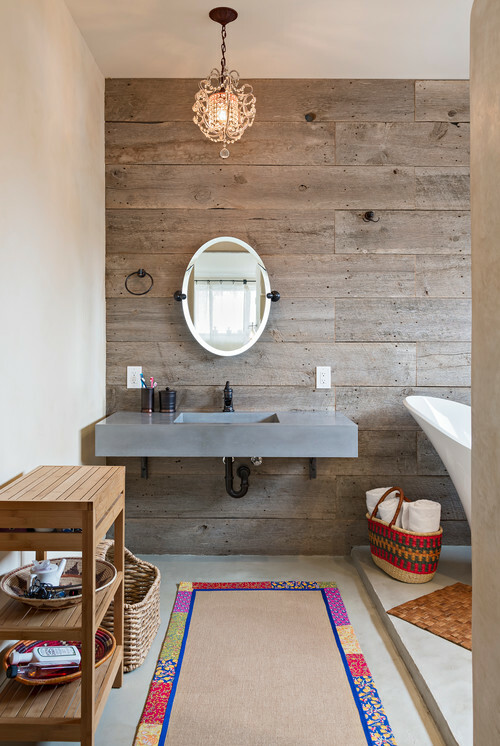 Master bathrooms will become the newest area for wood flooring. Yes, I know this seems like a place where wood floors should not venture. 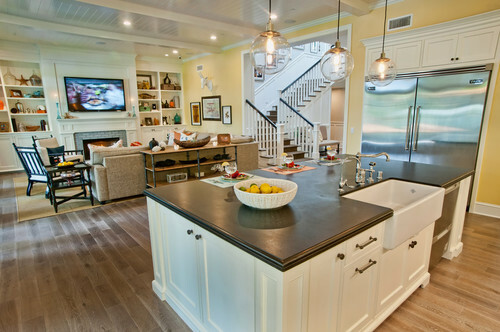 But, remember that kitchens were once an area that wood floors dare not venture, as well. 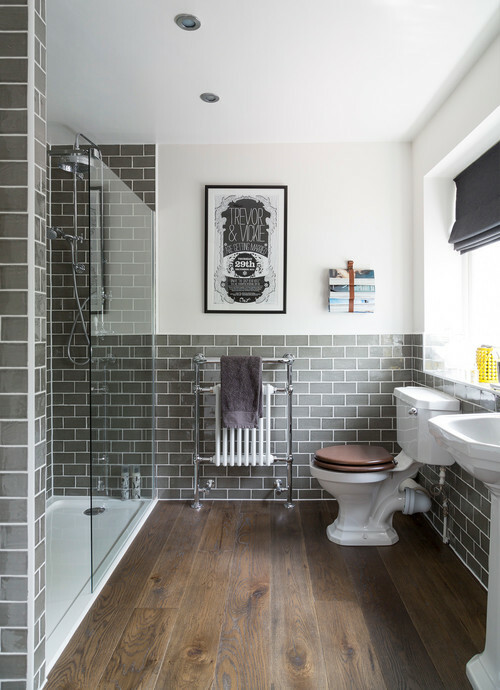 Keep in mind though, that if wood flooring is placed in a bathroom, extra steps should be taken to ensure that it will hold up to the environment. Tightly fitted planks with filled seams and extra layers of sealant will prevent any moisture from invading the wood. Another area that will gain in popularity for wood is on the walls. Expect more planked walls, either as a feature wall or as as an entire room surface. Both raw and painted planks are good choices. It just depends on the home owners preference. 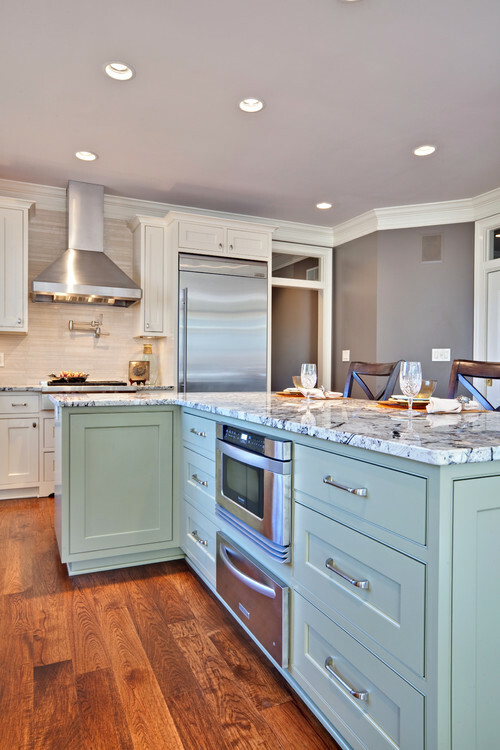 The open concept will continue to gain in popularity during the new year. This means that kitchens will become more blended with the rest of the house. 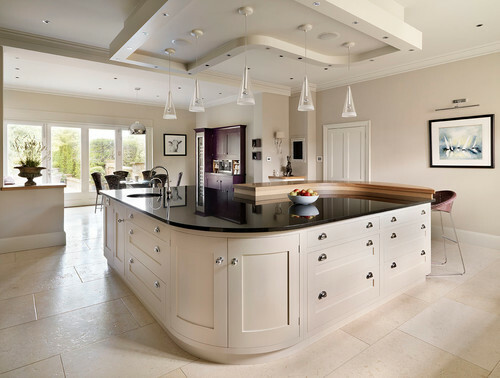 As a result, the desire for aesthetics in the kitchen design will dominate. Expect a focus on appliances throughout the year. The placement of microwaves above the cooktop will continue to fall down on the list of requests. 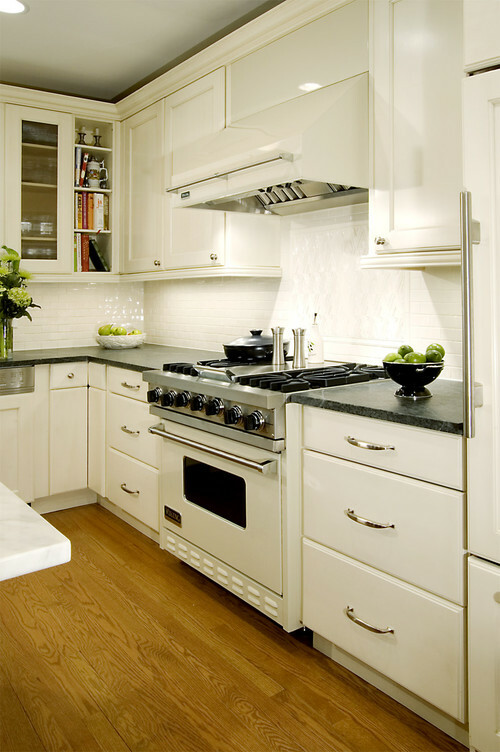 Instead, hidden and built in units that tie in well with a clean lined kitchen will surge. The current trend towards commercial appliances will continue its upward climb. In addition, a surge in popularity for colored ranges is likely to occur. The upswing in reclaimed wood will continue. As a result, 2016 may be the year of the classic contemporary look. A combination of new and old will fast take over home interiors. So regardless of your preferred interior design style, whether Traditional or Modern, the new look for 2016 will be a beautiful blend of these elements.